← Should War Crime Perpetrators Pursue PhDs? Nine years after he was originally indicted and over two years after he shocked the world by walking into the American Embassy in Kigali, Rwanda, and asking to be hauled off to The Hague, the trial of Bosco ‘The Terminator’ Ntaganda has finally began at the International Criminal Court (ICC). Ntaganda, a chief warlord in a panoply of rebel movements in the eastern Ituri Province of the Democratic Republic of Congo (DRC) faces thirteen charges of war crimes and five charges of crimes against humanity. Born in Rwanda, Ntaganda also happens to have been a pawn and partner of the Rwandan government, raising the question: does his trial at the ICC pose a threat to the regime of Rwandan President Paul Kagame? For years now, there has been a growing cohort of scholars, advocates and political figures pushing for investigations into the alleged atrocities committed or sponsored by Rwandan government forces and agents. Their efforts can be divided into three broad aims: one, accountability for alleged mass atrocities committed by Kagame’s Rwandan Patriotic Front (RPF) prior to and in the wake of the 1994 Rwandan Genocide, as laid out in detail in a 2010 United Nations report; two, accountability for aiding and abetting the commission of atrocities by rebel factions in the region; and three, accountability for repressive and violent tactics, including targeted assassinations and torture, deployed against domestic opponents of the Kagame government. Through it all, Kagame has been somewhat of a teflon man. No charges have stuck and, to date, no efforts at a thorough and independent investigation have led to much more than a series of false starts. Rwanda has proven to be a rather curious case for international justice. While it is the focus of a tribunal that bears its name, the International Criminal Tribunal for Rwanda (ICTR) has a highly restricted temporal jurisdiction which is limited to 1994, the year the Genocide took place. The ICTR, based in Arusha, Tanzania, has experienced a quixotic and often fraught relationship with Kigali despite the fact that it has focused exclusively on the regime’s former enemies – Hutu perpetrators of the genocide. Periodic attempts to expand the reach of the tribunal have been met with sharp condemnation from Kagame and rebukes from the international community. Former Chief Prosecutor of the ICTR Carla Del Ponte has written that she was effectively fired from her position by the UN Security Council after she pushed for investigations into RPF crimes. Many blame the lack of progress on the accountability front in Rwanda on what they see as the West’s shielding of the Kagame regime. There is little doubt that Rwanda is seen as an ‘African success story’, particularly in the US and the UK, and that there isn’t much appetite to upset this narrative. Domestically, the suggestion that the RPF or any factions associated with Kagame committed mass atrocities is often interpreted as genocide denial. There is a line that one can cross under international law where you can be held responsible for aiding a group in a way that makes possible their commission of atrocities. Charles Taylor never set foot in Sierra Leone, and aided and abetted, and was convicted of aiding and abetting, the Revolutionary United Front with assistance that was substantial and, the judges said, without which the RUF could not have committed the atrocities to the extent they did commit them. Because of that evidence, Charles Taylor was convicted and sentenced to 50 years. …if this kind of thing continued and groups that were being armed were committing crimes … then I think you would have a situation where individuals who were aiding them from across the border could be held criminally responsible. But precisely because of the public uproar, combined with a rare willingness on the part of Western states to openly criticize Kagame’s government, many thought that the trial of Ntaganda would open the floodgates and expose Kigali’s alleged role in destabilizing and perpetuating violence in the eastern DRC. For at least two reasons, this is unlikely to ever occur. First, it is important to recall the rather bizarre circumstances under which Ntaganda ended up in The Hague. Feeling pressured from all sides and with few options, Ntaganda somehow traveled unharmed and unimpeded from the DRC to Kigali where he presented himself at the American Embassy requesting to be surrendered to the ICC. It is easy to forget, but there was a moment when it wasn’t obvious that the Rwandan government would allow Ntaganda to leave the country. For reasons that remain unclear, Kigali eventually did permit Ntaganda to be transferred to The Hague. Rumours persist that, as with the case of another DRC rebel leader put on trial at the ICC, Thomas Dyilo Lubanga, the government knew or was informed that they did not need to worry about the ramifications of putting Ntaganda on trial in The Hague. Second, and more importantly, none of the charges outlined in the two arrest warrants issued against Ntaganda pertain to his role in the M23 or even the time-frame of the rebel group’s existence. All of the allegations against Ntaganda stem from alleged crimes perpetrated between 2002 and 2003. Moreover, it seems unlikely that prosecutors will seek to add additional charges against Ntaganda pertaining to his role in more recent violence. Resource-wise, the Court is over-stretched and there have been no suggestions to date that ICC investigators are actively examining allegations relating to M23 violence. 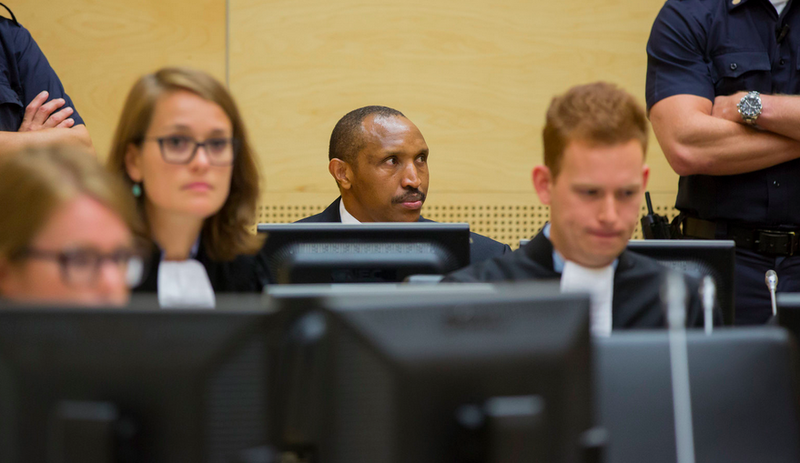 This does not mean that the Ntaganda trial will never drag Rwanda’s role in the eastern DRC into the legal machinations and public microscope of the ICC. Ultimately, it is entirely within the discretion of the Court’s Chief Prosecutor, Fatou Bensouda, to pursue additional charges that relate to more recent atrocities allegedly perpetrated by Ntaganda’s as part of the M23. The Security Council wouldn’t be able to fire her. Only time will tell whether Bensouda will find it necessary to open that pandora’s box. For now, Kagame has little to fear from the ICC. This entry was posted in Bosco Ntaganda, Democratic Republic of Congo, International Criminal Court (ICC), International Criminal Justice, International Criminal Tribunal for Rwanda (ICTR), Rwanda, Rwandan Genocide and tagged Carla Del Ponte, Paul Kagame, Rwandan Patriotic Front, Stephen Rapp. Bookmark the permalink. 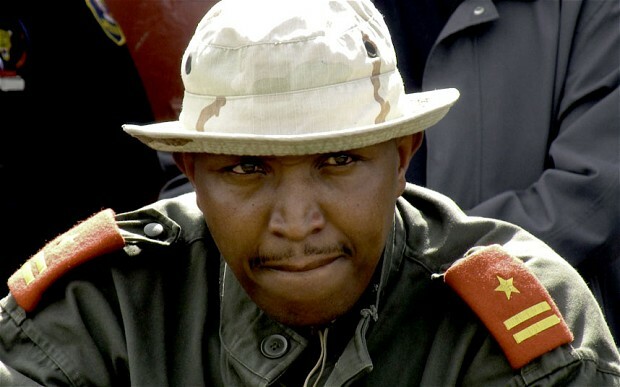 8 Responses to Bosco ‘The Terminator’ Ntaganda Goes on Trial: Should Kagame Be Afraid? Excellent and informative piece. Thank you. Herein lies a huge part of the problem. The notion that has been put forth is that Kagame is a fantastic guy who has been largely responsible for the “stunning progress”. What Kagame has really been good at is milking international guilt over the 1994 genocide. Thus today something like half of the Rwandan government’s budget is paid for by “donors” and “development partners”, and that is in addition to numerous off-budget goodies. The story then continues with Kagame milking while at the same time being praised for “stunning progress” and given a long leash to encourage all sorts of mischief, in his country and elsewhere. The world should not forget Rwanda 1994, but it is high time an end was put to Kagame’s game. One hopes that Ntanganda’s trial will be the start of some sort of reality call.